In today’s world one can be stimulated to travel by a number of sources whether it be television, cinema, radio, or the internet. In 1880 all one had available were books and firsthand accounts of those you knew that had traveled. Perhaps some books had drawings or colorful pictures or even the relatively new phenomenon of something called a photograph. 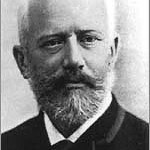 Great composers such as Pyotr Ilyich Tchaikovsky (1840-1893) did what other composers had done and added to the musical portrayals like his Romeo and Juliet Fantasy Overture to the mix. Certainly, describing settings was almost as old as music itself, but providing a listener with a flavor of sights and sounds was another challenge. As a result of a trip to Rome with his brother in 1880, Tchaikovsky found himself fairly intoxicated by all which he encountered there and hastily wrote notes of the rhythms and harmonies that struck him as they would serve as future fodder for musical expression. From the day-marking bugle calls emanating from the military barracks next door to Hotel Costanzi where they stayed, to the never-ending stream of music that faded from one to the other at the carnivals he enjoyed, to somber and warm melodies and a saltarello of his own invention, Tchaikovsky shows that he did more than just visit Italy: he lived it! Join Music Director & Conductor Manny Laureano, for the concert, “Music in 3D: Part Three” featuring violinist Louisa Woodfull-Harris and Jane Horn, Organ. The concert takes place on Sunday, April 17 at 3 p.m. at the St. Michael’s Lutheran Church in Bloomington. Before each concert, we share Manny’s Musings, thoughts from our Music Director and Conductor, Manny Laureano. Please enjoy this concert preview! “Who was the greatest melodist of all time?” This is an occasional discussion that is had by music lovers and musicians alike. To be sure, it is a fanciful argument to have, as all the great classical composers of the past have melodies which are part of our memories, ensuring immortality for they that penned them. However, if one were to indulge in such a chat, it would be almost impossible to omit Pyotr Ilyich Tchaikovsky as a contender for that honor, at the very least. Tchaikovsky, born in 1840 in the Vyatka province of Russia, was born to a family which had no particular background in music. His father, a mining engineer, married again after being widowed and it was his second wife who gave birth to Pyotr. As the boy grew older he was sent to a school with no less an imposing name than the Imperial School of Jurisprudence. But talent always finds a way and he was able to nurture a growing passion for music both as a listener and composer. One of characteristics of writing a memorable melody has to do with structure. The arc of the melody has to be satisfying to listen to because it is the right length. It also has to have a rhythm that allows it to flow. It must also be supported by a set of harmonies that you can hear in your head as you sing, hum, whistle, or find some other way to annoy the person sitting next to you. Over and over, Tchaikovsky manages to hit the mark with his tunes. In his Romeo and Juliet: Fantasy Overture (1870-revised 1880), he focuses on the acrimony between two feuding families and uses dissonance to deliver his message of tragedy and sharp, violent rhythms for swordplay before presenting us with the immortal love theme played by the English horn and violas. It is around these three themes that he centers his portrayal of the discord and eventual reconciliation between the houses of Capulet and Montague. Surely, a prerequisite for a theme and variations must be a recognizable theme that stays with you long after the performance is done! Tchaikovsky does not disappoint in his elegant masterwork, Variations on a Rococo Theme, for Cello and Orchestra (1876). This charming and compelling work is an ironic one, as it was written during a time of depression in Tchaikovsky’s life. Even more ironic is that part of the reason for his sadness was the lack of success his Romeo and Juliet were experiencing! His recent opera Vakula, the Smith was regarded by Tchaikovsky as a “brilliant failure.” He was learning, however, to drown his sorrows and difficulties through his work. As you listen to the theme and variations, you can hear Tchaikovsky use every musical trick in the book to display his soloist’s talents. Jaunty triplets, the tossing of rhythms back and forth from soloist to orchestra, ravishing themes, and a race to the finish abound this romp. The challenge of a four-movement symphony is rather obvious. Tchaikovsky was compelled to write an introduction, two themes with development, recapitulation, and conclusion… and that’s just the first movement! Many more themes of great passion and triumph will be found throughout this symphony but let’s discuss some rather salient features of his Symphony No. 5 in e minor (1888). The aforementioned introduction contains a rather critical part of the structure of the entire work. The initial theme played by the clarinets is known as an idée fixe. This is a thematic idea that returns in every movement and is a binding element for the entire piece. You will hear that theme played by a variety of instruments as the symphony unfolds. The second movement contains a horn solo that became so well-loved, it was turned into a popular melody in 1939 called “June Love” by David, Davis, and Kostelanetz. The brasses proclaim the idée fixe with ferocity. This is Tchaikovsky at his romantic best. A flowing waltz and internal scherzo with a wink at the clarinet opening from the first movement round out the penultimate movement. The fourth movement finale is a proclamation of triumph as the idée fixe begins it, but in the optimistic tonality of E major. He quickly returns to e minor and settles into a lively and virtuosic battle between the dark seriousness of e minor and brilliant flashes of E major. Every theme in this symphony is a winner and completely memorable. For this performance we’ll ask that you make every attempt to not hum along as you listen… but we’ll understand if you just can’t help it. 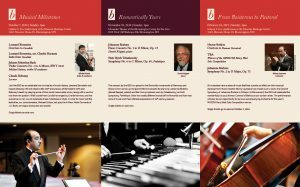 Join Music Director & Conductor Manny Laureano, for the concert, “Melodious Tchaikovsky” featuring Minnesota Orchestra cellist Arek Tesarczyk as soloist. The concert takes place on Sunday, February 15 at 3 p.m. at St. Michael’s Lutheran Church in Bloomington. To learn more about the concert, click here, or to order tickets online through the Bloomington Box Office or by calling 952-563-8575. Bloomington Symphony Orchestra Music Director Manny Laureano has assembled four concerts with a variety of well-known classics and a few pieces that may be new to some in the audience. 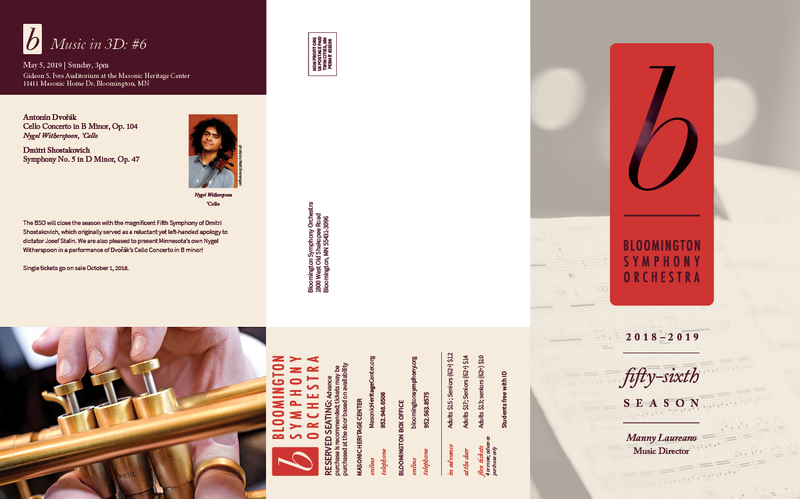 The 2014-15 concert season will feature a young soprano, a seasoned cellist and the BSO solo debut of our new concertmaster. Click on the link to learn more about each concert. 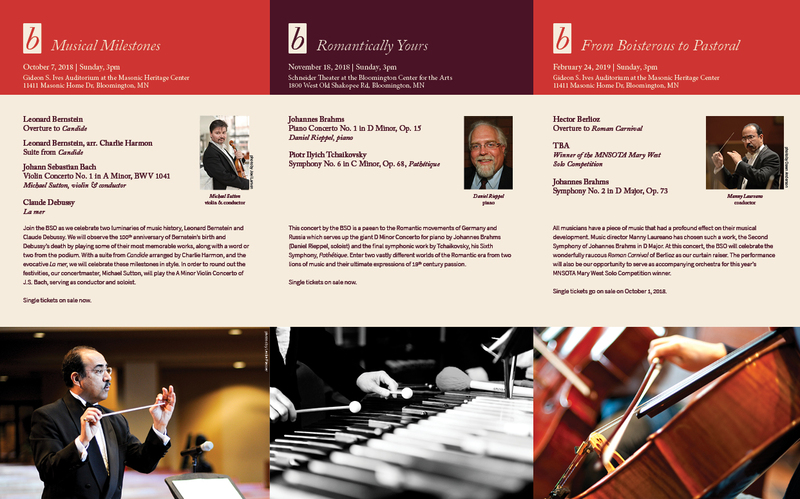 Season tickets (one ticket for each concert) are available for purchase through the Bloomington Box Office (only). You can click here to order tickets online or you can call 952-563-8575 or stop by the Box Office in person at 1800 West Old Shakopee Road in Bloomington. Can’t make it to every concert? You can still get the discounted price by purchasing in advance, four or more tickets to any of the concerts. Season and four-ticket packages are $48 for adults and $40 for seniors. Single tickets are available in advance or at the door for $14 for adults and $12 for seniors. Students are always free, thanks to our generous donors. This is the second installment of the concert preview for the BSO’s performance on Sunday, April 13. These notes are shared by our Artistic Director and Conductor Manny Laureano, to help you learn more about the music in advance. We hope you enjoy “Manny’s Musings”! It is always curious to music lovers of contemporary society to read the disparaging remarks made about music that is well-loved today by those who were living at the time those pieces were written. In fact, books such as “The Lexicon of Musical Invective” by Nicholas Slonimsky are devoted to original bad reviews of what are now considered great works. And, so it was, that the treasured concerto for violin of Peter Ilyich Tchaikovsky was disdained for “vulgarity” and tearing the violin until it was “beaten black and blue”. 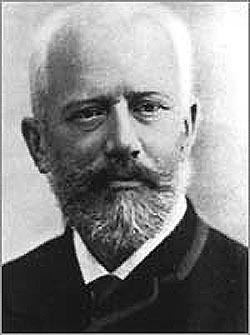 Even the great violinist, Leopold Auer, for whom the piece was originally written, pronounced it unplayable until he made his own modifications to it. When Tchaikovsky came to me one evening [over] thirty years ago, and presented me with a roll of music, great was my astonishment on finding that this proved to be the Violin Concerto, dedicated to me, completed, and already in print. My first feeling was one of great gratitude for this proof of his sympathy toward me, which honored me as an artist. On closer acquaintance with the composition, I regretted that the great composer had not shown it to me before committing it to print. Much unpleasantness might then have been spared us both…. The concerto would eventually be dedicated to Adolf Brodsky only to be subjected to the criticism cited earlier by Viennese critic Eduard Hanslick. To be fair, the conductor at the helm for that premiere, Hans Richter, did not allow for enough rehearsal time for this new work and it likely was a sub-par performance, at best. But time and ears that are accustomed to a great many harmonies are gentler judges of a grand concerto that has become beloved by cultures the world over and it retains its place as a favorite of music lovers. Please join us for the performance of the first movement from Tchaikovsky’s Violin Concerto on Sunday, April 13, 2014 at 3 p.m. at St. Michael’s Lutheran Church. Violinist and winner of the Mary West Solo Competition Winner Emily Saathoff will be joining us to perform this great work. Learn more about Ms. Saathoff here. Ms. Saathoff was recently named the Grand Prize winner of MNSOTA (Minnesota String Orchestra Teachers Association) Mary West Solo Competition. 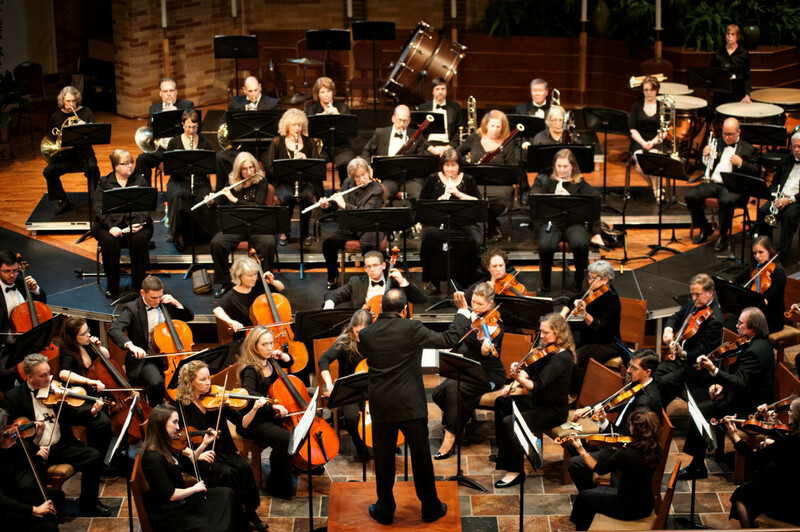 Part of the prize is the chance to play with the Bloomington Symphony Orchestra – Minnesota. Please join us in congratulating Ms. Saathoff and come to hear her play one of the violin’s great concerti!